Gaming Vision Network: Dreamcast 10th Anniversary Lookback and Reflection. Dreamcast 10th Anniversary Lookback and Reflection. All things aside from my slight mental state that ended the marathon 5 hours early, I want to take a look back at my memories of the Dreamcast and the joy and excitement it brought me in my early adulthood. I remember reading about the Dreamcast back in my early issues of Game Informer in 1998. Having never owned a Saturn and having every attachment for the Sega Genesis I never really took a moment to think about the Dreamcast with exception to thinking that those were some very beautiful graphics. Flash forward to September 9th, 1999. I graduated from high school in early June of that year and at the time I didn't even think about buying the Dreamcast. Come end of July I got a job working for McDonald's and suddenly I was feeling somewhat independent. I had money of my own. My parents wouldn't let me have a job while I was in high school so for a while I felt like I was being told what I can and can't do. But now I was making money. I was paying for college classes, paying for books, paying for transportation(taking 2 buses) to get to college. And out of impulse I went to Funcoland(now a gamestop) and bought a Sega Dreamcast on launch day. I didn't buy any games because I was broke after that but my mom worked at Hollywood video and brought home a few games to play till I could buy some. I enjoyed playing Sonic Adventure and Ready To Rumble Boxing among the games rented. Sonic especially was captivating because it felt like Mario 64 but 10 times faster(not better, completely undebatable). I enjoy the Sonic and Knuckles(see what I did there) levels the most. Knuckles' levels were pretty awesome. They were huge and full of areas to explore as you were looking for shards of chaos emeralds. And Read to rumble was off the wall fun. Goofy looking characters with equally goofy names. How can you hate on a game with Afro Thunder in it? A couple more weeks go buy and I bought my first 2 dreamcast games. Soul Calibur and Sega NFL2K. Wow. Soul Calibur was the perfected port of the arcade version with better graphics and tons of content. The depth of Soul Calibur was beyond anything I have ever experienced in any other fighting game before it. Tons of unlockable players, a quest mode, galleries and different types of multiplayer modes were just the tip of the iceberg. NFL2k was just as equally impressive with its stunning graphics and in depth gameplay. NFL Quarterback Club 98 was the last football game I played and compared the NFL2K, QB Club was rubish. It dwarfed even the Madden series before they(Madden) made the jump to the PS2. It would be safe to say that the Dreamcast turned me into the gamer I am now as the months went by in 1999. The Genesis and N64 were fun to play but I didn't nearly play them as much as I did my Dreamcast. I found there to be a ton of highly addicting games for the system like Evolution, E.G.G., other 2K sports titles like NBA2K and NHL2K, Marvel vs Capcom, and Tony Hawk. By the end of 1999 I was a full fledged Sega fanboy(not an evil fanboy by todays standards). The year 2000 started off with a bang. Not the Y2k bang everyone was expecting but a good bang. Great titles like Resident Evil: Code Veronica, World Series Baseball, Chu Chu Rocket(The Dreamcast's first online title), Capcom VS SNK, and Bang Gunship Elite were truly amazing. Especially Capcom vs SNK. It was a fighting fanboy's dream come true. Two fighting elites combining into one hot matchup. This was the first fighting game I was addicting to until Street Fighter 3 was ported to the system later in the year. However those titles were nothing compared the the big titles waiting at the end of the year. In 3 consecutive weeks, The Dreamcast had 3 of its best games. 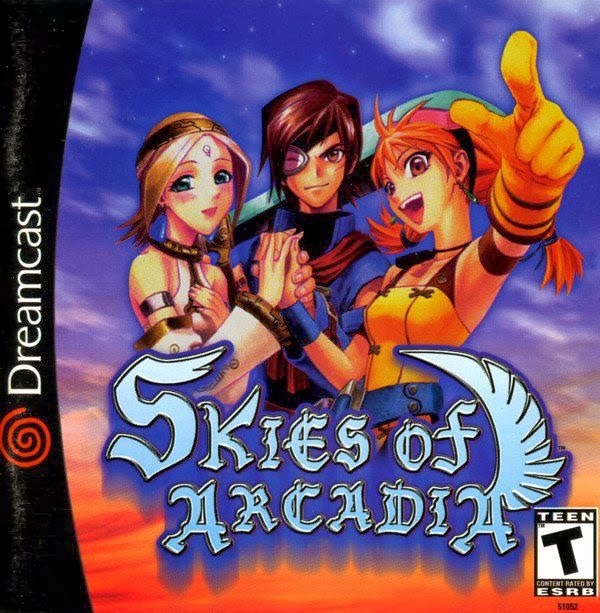 First was Skies of Arcadia, followed by Grandia 2 and then the grand daddy of open world gaming, Shenmue. All 3 titles captivated me for months. 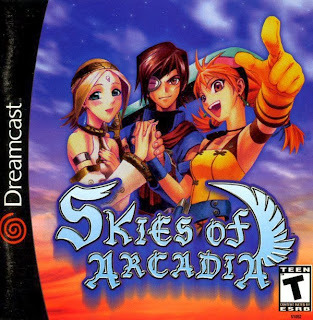 Especially Skies Of Arcadia and its amazing air ship battles and compelling story. Shenmue was a bit slow for me but I still dove right in. It has a surrealism to it that gave you the feeling you are a part of its world. 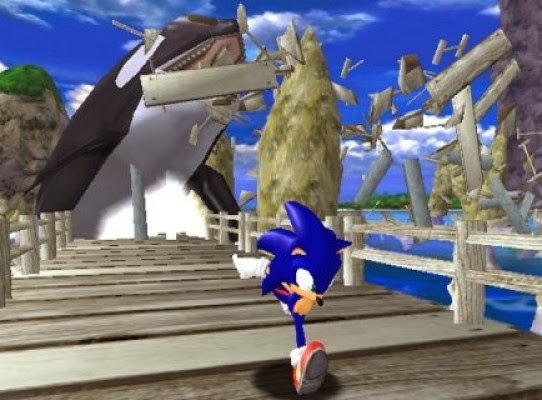 As the year winded down, the holiday season looked good for Sega especially when competing the against the Playstation 2, who was suffering from a massive console shortage. The beginning of 2001 was bitter sweet. On one hand the game everyone waited for, Phantasy Star Online, was released. On the other was the announcement sega fans never saw coming. A couple months into the new year, Sega President Peter Moore made the announcement that Sega will be leaving the hardware business and moving to 3rd party support. Was I devastated? No, but very disappointed in that so many great games are on this system, with many more on the way, and no one was taking the plunge to buy a Dreamcast to check them out. Of course all those feelings of disappointment faded and I continued to enjoy the system to its final US game release in 2002 and beyond. The year 2001, still had some of the best games released for the Dreamcast, many of which could be enjoyed online. Quake 3 Arena and Unreal Tournament filled the void of first person shooters and provided some of the best online gaming experiences for the system. Phantasy Star Online continued to be the stellar game that I played the most. Over 500 hours have been spent on that game between 3 characters I have made. Of course 2001 still had some major disappointments. Along with the announcement of the switch to 3rd party support, many games slated for release on the Dreamcast in the US were either canned or moved to other system. Rez and Head Hunter were available for the Dreamcast in Europe and Japan but they were ported to the Playstation 2. 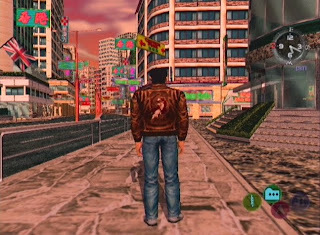 Shenmue 2 was the game that angered many fans. Shenmue 2 was moved to gaming newcomer Mircosoft's Xbox. The game still saw release in Europe where many gamers imported their copy from including me. 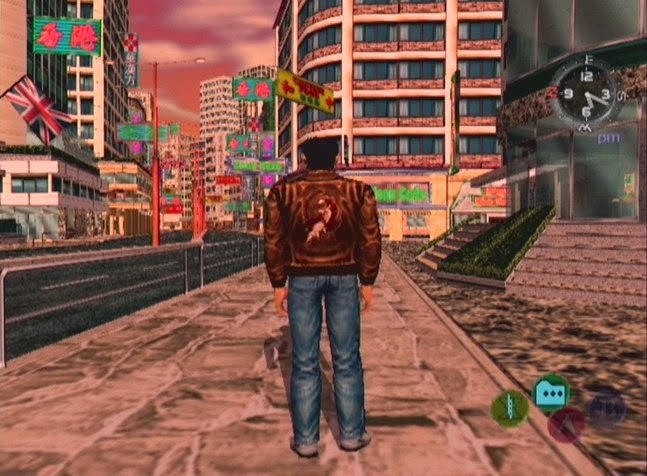 Shenmue is truely an amazing game and fixed many of the flaws of the first involving it pacing and interactivity. Among the games cancelled for the system was Half-life. Half-life was practically complete and ready to ship but Valve decided not to release it. Half-life surfaced a few years later as a beta disc for sale on ebay and quickly spread across the Internet community. Another game that was canned was Agatha which unfortunately information for is scarce. About the time when Shenmue 2 was moved to the Xbox for us exclusivity, is when I started imported games for my Dreamcast. My first import was Shenmue 2 PAL, followed by the PAL versions of Head Hunter and REZ. Another game from Europe I bought was Evil Twin which is a very dark and engaging 3D platforming game. Even after the systems final US release I continued to import games. Among my favorite games were Sakura War 3 and 4, Lack of love, Ikaurga, and Capcom vs SNK 2. The last officially released US game was NHL2k2 and it was a great game but its a bittersweet footnote of a system that came up short in many areas. My dreamacst is still hooked up and I play it occasionally from time to time when I am tired of the redundancy of most games that are released in this day and age. The Dreamcast to me showcased some of Sega's best in gaming. They were willing to take chances that many companies today won't. Sega made some originals that will continue to stand out for generations to come. I To this day and beyond I will continue to play my dreamcast with as much excitement as I did then. Happy 10th Anniversary Sega Dreamcast. Dreamcast is one of the best console of everytime!